2018 was a difficult year for global sharemarkets, including Australia's where the ASX 300 Accumulation Index declined -3.1% over the 2018 calendar year. It was a year of two halves. The gains made in the first eight months were given up as the sharemarket fell from late August over concerns that growth in 2019 could disappoint due to the impact of higher US rates and the continued US-China trade war, as well as doubts about the impact of Brexit and the potential turmoil this could cause in the Euro region if not resolved sensibly. As the chart below indicates, in the first two-thirds of the year IML's Funds tended to underperform their benchmarks as the Australian market rose to its highest level in over a decade, with companies in many of the more cyclical sectors such as Resources, Technology and the soft commodity plays on Chinese growth all performing strongly. Our caution toward many of these companies, given both the elevated risks and their expensive valuations meant that IML’s Funds were held back on a relative basis. Albeit we still delivered a reasonably healthy absolute return of +5.3% in the IML Australian Share Fund. On the other hand, the defensive positioning of our Funds helped performance hold up better than the sharemarket during the period from its peak on 29 August 2018 to its low on 21 December 2018, when the ASX 300 fell by around -13%. With many of the aforementioned high-flying sectors correcting significantly more than the market. From our experience over the last 20-30 years we have observed that in the initial stages of a sharemarket correction, it is not uncommon for almost every stock to fall as many investors rush to reduce their exposure to sharemarkets. However, when the panic subsides, and sanity prevails - which inevitably happens - good quality companies with strong underlying businesses, and with real earnings always recover well. Source: IML; 1 January 2018 – 31 December 2018. Past performance is not a reliable indicator of future performance. Following the heavy falls of the December quarter we expect a period of consolidation in markets. At the end of December, we started to see the emergence of very good value amongst many quality Industrial stocks, which our Funds are heavily skewed towards and we expect the quality of these stocks to show resilience should the sharemarket correct further. While corrections are never pleasant for investors, they are an inevitable part of sharemarket cycles. Through these periods IML has always adopted a level-headed, rational and systematic approach. We look to take advantage of share price weakness to top up on our holdings or add new holdings in good quality companies which we believe represent good value and which we believe have credible plans in place to grow shareholder wealth and dividends in the next 3 to 5 years. 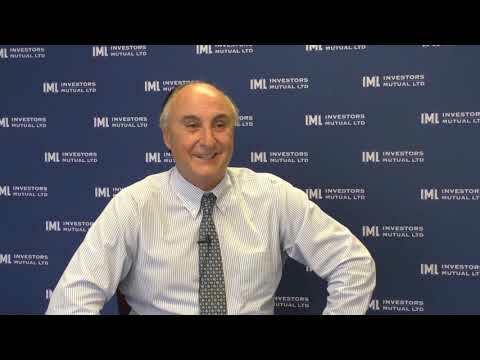 Investors Mutual Limited is the issuer of the Investors Mutual Australian Share Fund. Applications can only be made by reference to the current Product Disclosure Statement, dated 21 September 2017 or through IDPS products that include these Funds. The Product Disclosure Statement can be obtained by contacting Investors Mutual or at http://www.iml.com.au/how-to-invest/pds-and-forms. Potential investors should consider the Product Disclosure Statement before deciding whether to invest, or continue to invest in the Fund. Past performance is not a reliable indicator of future performance.